Fletcher Prentice is renowned for his lavish paintings of gardens, with plant-life that teems with birds and insects. 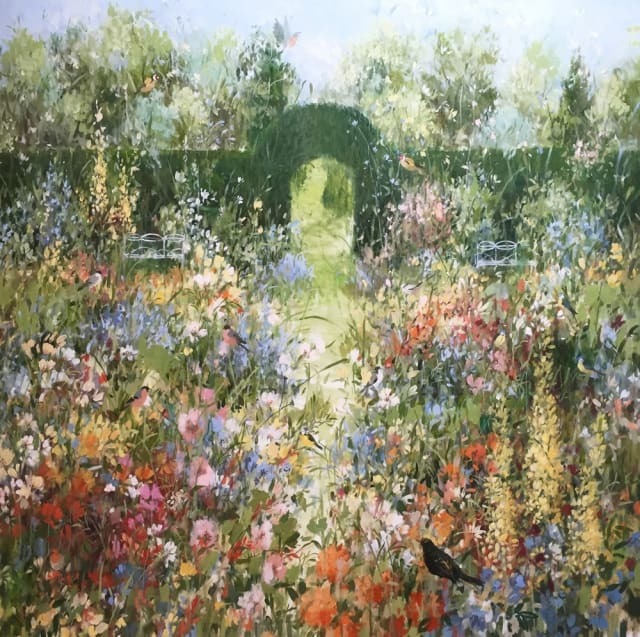 In his newest paintings for The Garden exhibition, he reflects on the many contrasts found in a garden - the ordered symmetry of hedges and archways against the wild and tangled plants as well the creatures that inhabit them. Click the link below to read more about what gardening and horticulture means to the artist.